I, and a few close friends ventured out on Thursday May 2nd, for a 9:30pm Preview screening of Iron Man 3: The start of Avengers Phase 2! It is an indeterminate time after the events of Avengers. 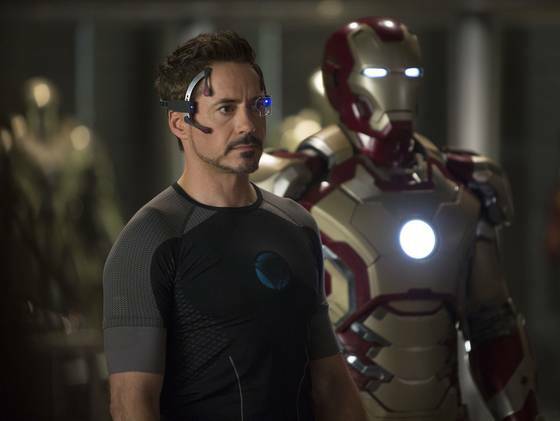 Tony Stark is becoming a bit of a recluse, constantly tinkering in his armor lab, unable to sleep at night. He is going through something of a nervous break down, probably a PTSD issue from the battle with Aliens. As he deals with it, a Terrorist named “The Mandarin” is bombing America. 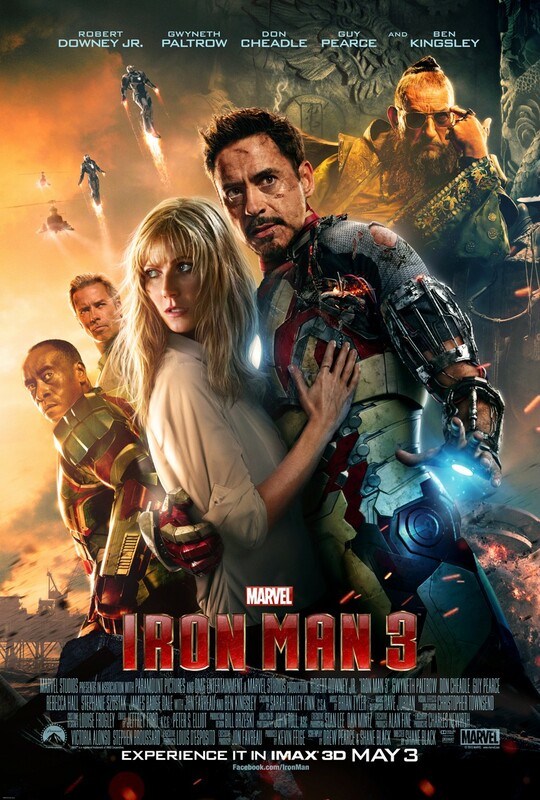 The latest injures Happy Hogan, causing Stark to declare war n Mandarin… The Mandarin retaliates by destroying his California Home, nearly killing him, and Pepper in the process. The rest of the movie is the battle and Tony coming to terms with what iron man means to him, how it defines him, as he deals with the mandarin’s threat. Of particular importance are the repercussions of being a public Iron Man on those he cares about. That’s all you get! no spoilers! RDJ is the man. He so inhabits this role that a future recast will be all but impossible. His work here is top notch as Stark’s weaknesses and insecurities catch up with him. I actually thought that Paltrow was underutilized in this one. She fell into the “Damsel in distress” trap this time out. 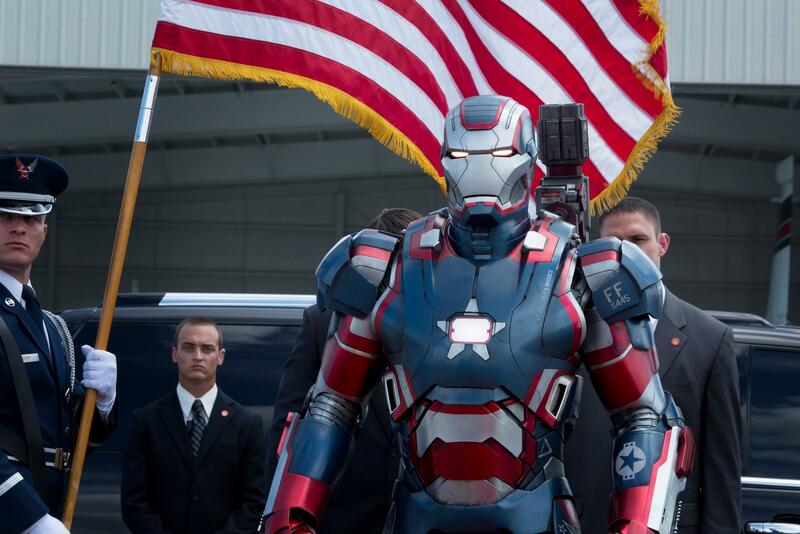 Don Cheadle returns as Rhodey, The War Machine- this time renamed “Iron patriot”. I was a bit sad to see Norman Osborne’s alter ego appropriated, but it worked. He pretty much stole the movie in THE SCENE. 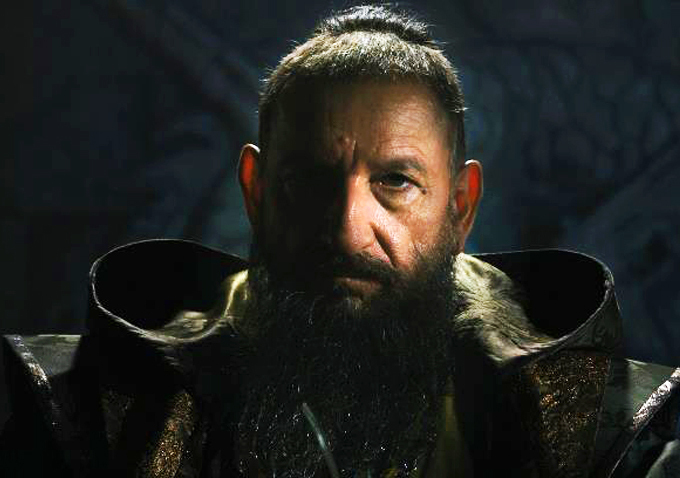 Ben Kingsley is a great actor and he was an ideal choice for this. Props must be given to Writer/Director Shane Black, who infused his own sensibilities into this film. Where Favreau thrived in 1, he was swallowed by the “Avengers machine” in Iron man 2- losing the clear image of his “voice”. Black manages to avoid this and give us a movie very different from Avengers.